“The definition of insanity is doing the same thing over and over again, but expecting different results” – this is a famous quote that is widely accredited to Albert Einstein. There is no evidence that Einstein did coin this phrase but someone did provide us with this insightful piece of genius that we can all derive inspiration from to drive us forward to changing our mindset. It sounds simple in theory: change your wealth mindset to a positive one and you will start seeing positive results from your wealth building decisions. In reality actually changing your mindset and what you believe to be true is the first step and is normally also the most challenging. If you continue to make the same decisions, then you will continue to see the same results. 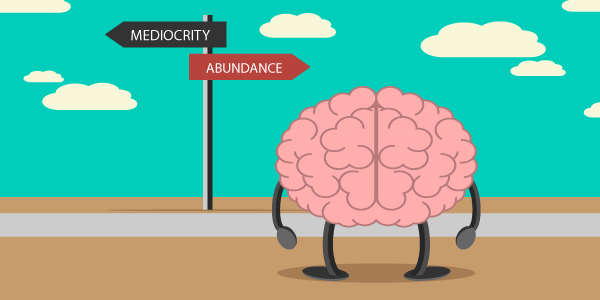 A successful property investor has a positive wealth mindset, so if you also want to be a successful property investor then you need to start thinking like one. Once you embrace this new way of thinking you will open up a whole new exciting future and start to see your wealth grow. Understand your goals: Everyone has a different idea of what wealth is and what will make them happy. Have a clearly defined goal that is specific to you and your family. This will provide you with determination and also give you a clear focus on your wealth building. Be open to learning: Every successful property investor builds their wealth by continuing to learn and developing their knowledge every day. Seek expert advice and get perspective: A key part of learning is to affiliate yourself with industry experts who can teach you how to build wealth. Investing in property is daunting and can easily feel like an insurmountable task. Staying in regular contact with a mentor will enable you to overcome those feelings and retain focus. Take the opportunity: So many people miss an opportunity because they did not have the courage to grasp it when it is presented to them. Every successful property investor started their personal journey with a single decision to seize an opportunity. You can also make that choice! Subtle changes to your way of thinking will transform you from someone who wishes and hopes to someone that learns and succeeds through consistent action… Practical advice for those starting out and nice reminder for those already on the journey.